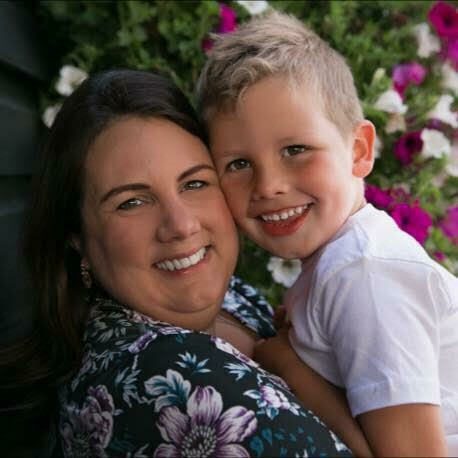 Following my son’s 5th birthday last month I’m continuing my tradition of sharing our favourite toys, games & activities, this time for 4 year olds. Please share your own favourites in the comments below. This classic has of course appeared in previous favourites posts but following our most recent trip to Legoland, and the excitement of the sets we bought there, Caterpillar seems to have finally become completely enamoured with it. This is mostly due to the fact that he is finally able to follow the instructions and create things with almost no adult help. In the past we may have tried to start him on Lego a little too young but in the last few weeks he has grasped how to follow the diagrams and now occupies himself for long periods with it. He gets a huge sense of achievement when it’s completed too. From Hotwheels to this Disney Cars track to his brand new Blaze & The Monster Machine’s track there is nothing this kid loves more than racing his cars. The latter is particularly good actually (although it took me a little time to assemble it). The other downside for all these toys is that they take up a fair bit of space when fully constructed. But I don’t mind trading that off in exchange for how much he enjoys playing with them. Tracks like this are also a great way to encourage imaginative play. Caterpillar will often incorporate other toys – such as plastic dinosaurs or super hero figures – into his car tracks and invent stories incorporating them all. 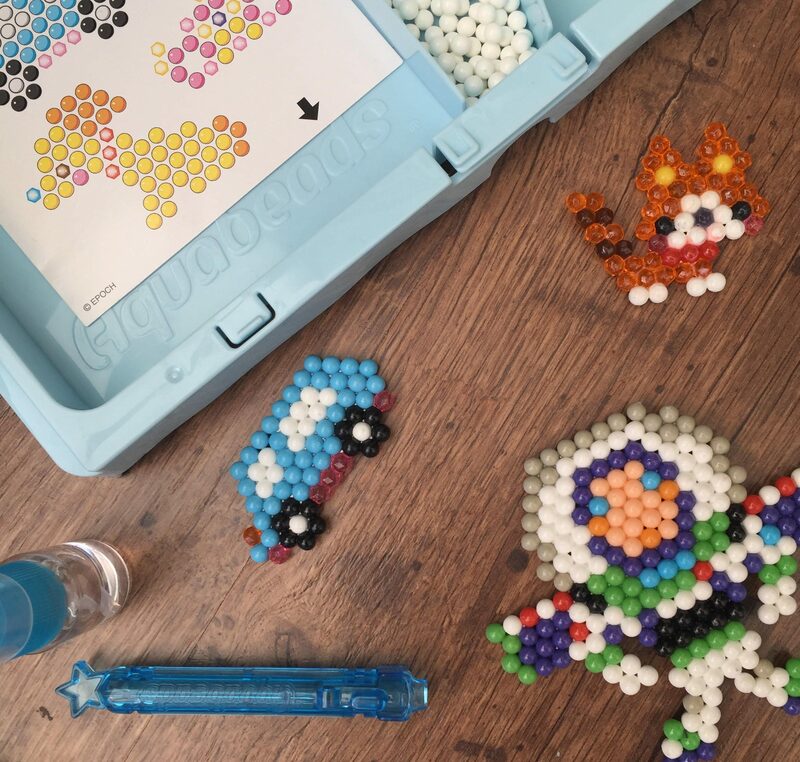 Aquabeads are the same concept as the Hama Beads I’ve mentioned in previous posts but this time you don’t need to iron your creations to stick them together, but simply spray them with water instead. I’d heard from other parents that it can be tricky to get them to stick but we’ve found it really easy as long as you use quite a bit of water (which it does advise in the instructions to be fair). Caterpillar loves them because he gets to do everything himself, without needing me to do the ironing part, and the tool you get with this set to help slide them off the board works fantastically. Since receiving some for his birthday only a couple of weeks ago he’s already made half a dozen designs. 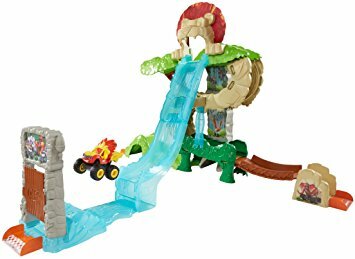 Games have always been a big favourite of Caterpillar’s and I love that now he’s a little older we can play games that are really fun for adults too. I’m so impressed with the Monopoly Junior he received at Christmas and we play it really often. It’s exactly the same concept as the original game but simple enough for his age group. But, essentially, it’s not too simple – it still has all the same aims and concepts as the original, and Caterpillar loves it and picked it up much quicker than I would have expected. Finally, this is another firm favourite in our house. It’s a microphone and stand / karaoke machine – it comes with flashing disco light, tons of games and sound effects and you can even hook it up to your phone to play whatever music you want. Caterpillar (and I, ahem) love singing along with it. Some great suggestions – my 5 year old girl has all these! Do you do Playmobil?! I can’t put my feet down without standing o tiny plastic forks but my little one loves it and it is fantastic for imaginative play. Great list. I’ll be referring to it when it comes time to get my nephew presents! My sons 4th birthday is coming up and I was a little stumped as to what to get him. This has given me a few ideas! Lego is a firm favourite in our house! You’ve just written about our toy cupboard! Lego and monopoly junior are our favourites! Some great ideas. 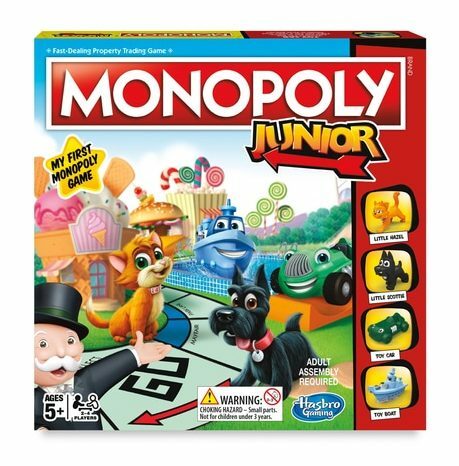 My nearly 4 year old loves games and I’m getting a bit bored of snakes and ladders now so might have to try Monopoly Junior. I think she’d like the aqua beads too. 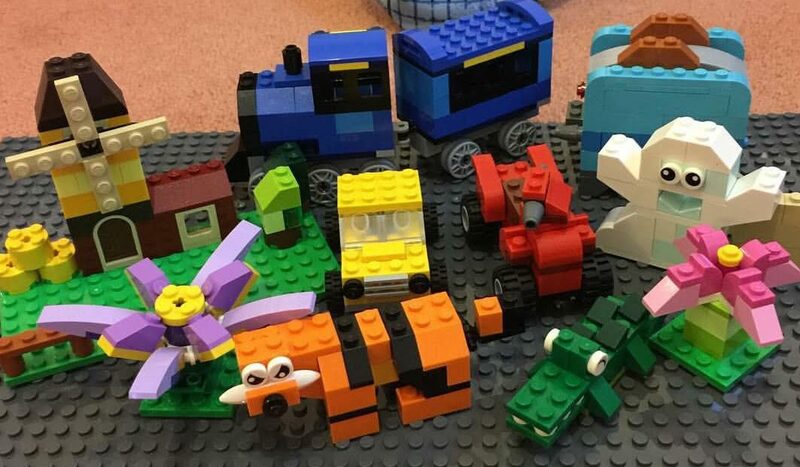 My 5 year old loves lego. I think she’d love aquabeads too but we’ve never tried them. Some fantastic ideas here! I need to start making some lists for when my son gets a little older and these look great. I’m really looking forward to a proper family game of Monopoly. Lego are my sons favourite toys! Awesome post ! child are playing and enjoy for toys .its rally love. That’s a really cute toys! You have given many beautiful toys list, my child will love. Thanks for sharing this great post with us. Action figure toys are also quite popular among kids , especially the avengers.